This week, The E.i.N blog takes a break from writing, and goes on a Nairobi Fictionspiration Trip. Sharing stories from fellow writers (bloggers) from my area code (254). A lone female sits in one of the available benches in Nairobi. The day has yet to turn from where it sleeps in preparation for its final dream. She is young, a few months shy of 24, and yet, looking into her eyes, you get the feeling that she has lived more years than you. A large furry coat is all you see keeping her covered, besides the heeled black boots. What you see of her skin is smooth and chocolate coloured. Her hair is dark, pure and untouched by the unnatural element of cosmetics. You think about going to her, but you stop yourself mid stride. She does not give any indication that she has noticed your presence. 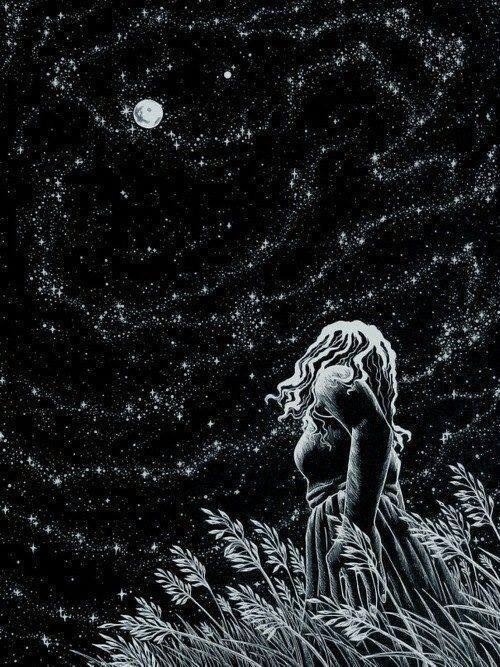 She looks up to the dark sky as if searching for something. Something you fail to grasp, because you hear her chuckle to herself. There is a look of wonder on her face, pure and unadulterated. Somehow, she has managed to find wonder in the night sky, even as the bright lights of still open bars dull its brilliance. Her gaze remains unbroken even as the colours begin to adjust. As night’s shift ended, it left in its wake a trickle of people milling about in a bid to reach their jobs, businesses, and in some cases, homes. Her eyes change focus, to the fast and faster moving waters of humanity. She reads them all as they walk past. To them, she is invisible. To her, they seem to be all the same, all running around like headless chicken. From the suits, to the dresses, to the tattered old clothes worn by the still sleeping chokoras. Nothing matters to them save their own little worries, and perhaps the notion that they care for others. But even then, it is rare to find those that truly love, whose hearts understand the magnitude of that emotion. Every now again, there is a ripple caused, as someone passes by whose heart is true and continues to feel love. She smiles, knowing that there may be hope yet for the future of this species. And then comes one of them for whom she searches. One of them whose very presence alters whomever they pass for the better. He is self assured and, every once in awhile, busts out a small smile as he moves. There is something tangibly positive about him… He is compelling in his own walk, with neither a word nor sound needed. You get the feeling he has the power to do anything he sets his mind to, and he does so often. She turns to you. She watches him for a few seconds, gets up, stretches and follows him. Two steps in, she disintegrates into flecks of gold dust and becomes a part of him. You sense a subtle change… and you know he has just become the best and most powerful version of himself. A voice softly whispers in your ear. I love the description of the city in this story. How intense the masses of people can be walking along those streets. I see the one on the bench, watching these masses, seeking for one that stands out, one that shines with strength. What do you see in this story? Do you think she would see you as being different too? Follow this link to read the Birth of Jagombaka as well.